Regardless size and category of your business, managing various tasks in your firm becomes essential as far as you’re concerned about success of the firm! Nevertheless, it is an undoubted fact that your traditional ways of managing all tasks do not suit the scenario unless you want to spend your valuable time in drawing graphs, calculating somewhat confusing numbers and finally brining all these in an understandable form. 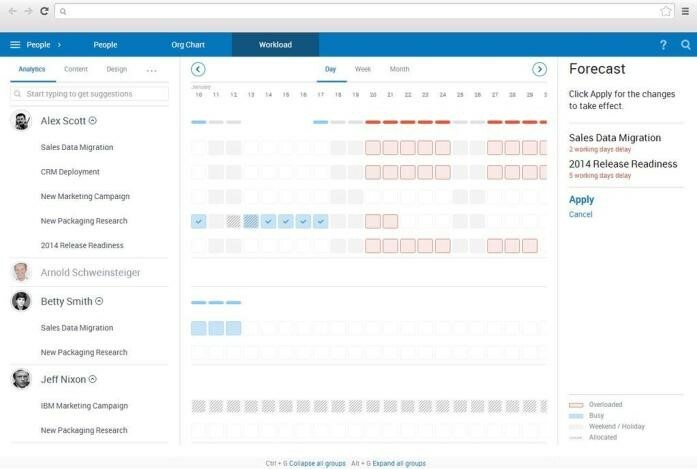 Having said that, in this post, we will love to introduce an effective, easy-to-use and unified solution to manage tens or hundreds of tasks and subtasks you’ve in your firm — Comindware Project. We will have a brief review of Comindware Project, which has created a superb impression among professionals out there. First, we shall have an introduction to Comindware Project, followed by a deep glance into various aspects of this cloud based platform. Simply put, Comindware Project offers a unified place, where you can find various works that has been assigned to a variety of employees of your company. Along with aligning these tasks in an easily accessible form, you have options to execute them in a way that there is as less confusion as possible. With the ability to add as many employees you’d like to, Comindware Project is indeed a best solution for project management no matter the size of your firm. Also, it is worth noting that Comindware Project brings a set of truly affordable pricing plans. Now, we’ll move on to a few of other aspects of Comindware Project as a professional solution. Two modes of set up are available for Comindware Project — Cloud-based and On-Premise. As these names say, first mode of set-up depends upon cloud computing servers to run whereas the second one has dependence on your own infrastructure to set up project management environment that makes sense. Obviously, there are both advantages & disadvantages for these kinds of set up modes. For instance, on-premises version of Comindware Project ensures the top-level security of your information whereas the Cloud mode can cut down your maintenance costs and operational efforts significantly. Rather than the written way, Comindware Project uses the visual way of project management and you will be able to get used to your project management environment regardless your level of expertise in visual project management! For instance, we can take the case of project planning, in which you have to determine different levels of the project as well as other aspects. 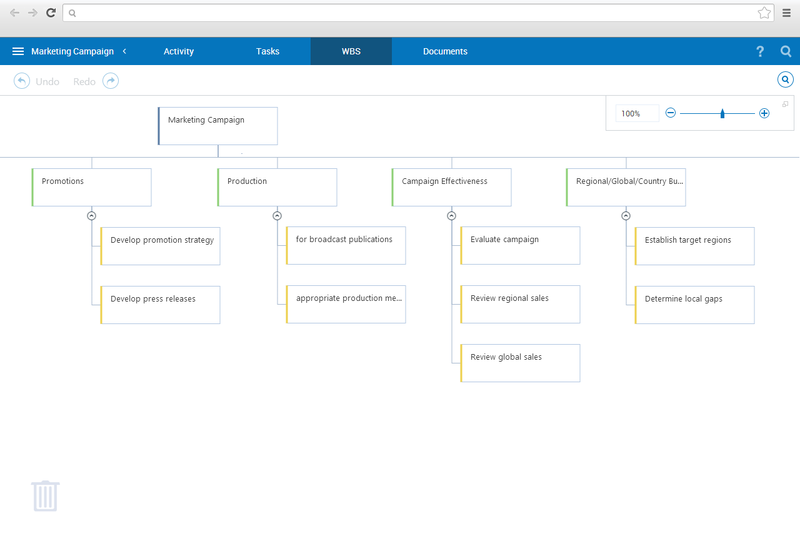 Here, you can make use of Work Breakdown Structure of Comindware Project, thus creating a visual outline of how your project should move forward. In addition, this ‘visualization’ of tasks also brings you idea about different works as changes happen within them — you can know real-time status of projects! You can have a look on testimonials of Comindware Project if you want to know how useful Comindware Project is when it comes to creating, managing and executing different projects. Obviously, when you are working as a team, collaborating the team in some sections is quite important! As a matter of productivity, Comindware Project has an in-built section named Comindware Team Network. As a professional, its significance is quite high that you can take internal communications within your firm into an extraordinary level that makes enough sense. 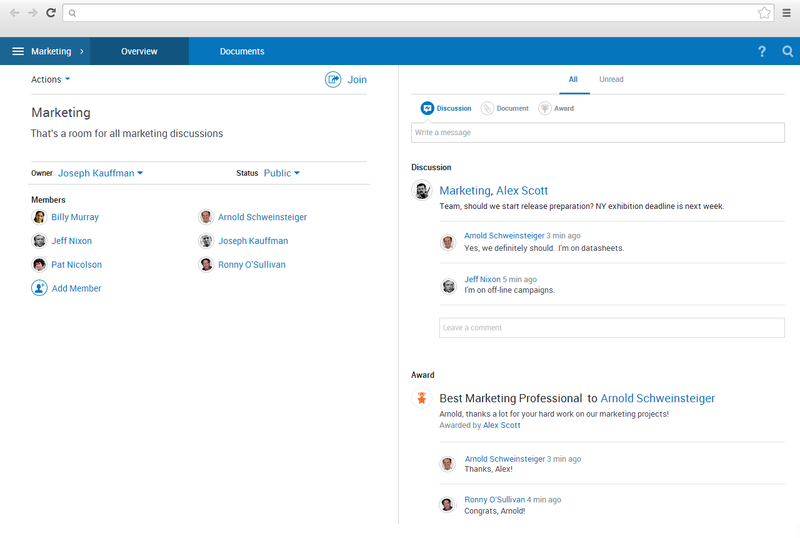 You will be able to create Discussion Rooms, share and manage various documents of yours, to save contact details of your employees and access them easily and add a bit of motivation using of Award system of Comindware Team Network. All these features are built on an unmatchable User Interface of the solution and one is required to have no previous experience in online project management to get accustomed to Comindware Project! To extend reach of the service and make things available on the go, Comindware Project management offers its apps for mobile devices, including those are running on Google Android and iOS. Also, the task management system comes pre-integrated with Microsoft Outlook to make things simpler than they really are. Considering all these factors, Comindware Project is a wonderful team collaboration software that is available in set of diverse methods such as on-premise and cloud-based servers. As far as you are concerned about productivity, this is a big deal, indeed.